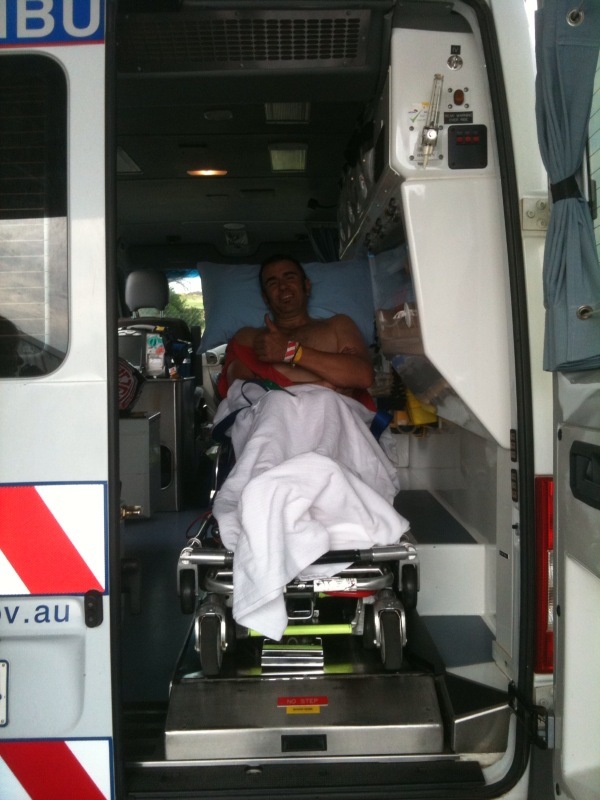 I crashed the guzzi yesterday at phillip island while practicing. I lost the front end in turn 4. Bike is fine but I smashed my shoulder. My scapula is in about 6 pieces. I will tell you more when I am out of hospital. aye Mick its a proper mans bike alirght, heavy, loud, and lumpy – seat like a plank, wooden shocks with throttle springs like steel bear traps – but comfort is overrated isn’t it. “That;s the last real motorbike” as a large bearded geezer called Brian once told me — a tutto gas! bar2’s joe bar is essential by the way. I’ve just come across your site, etc., being a slow learner with all this techno stuff….. Many thanks for keeping all this info available to us Guzzi Folk. Incidentally, have ’77 restored Lemans and an unusual Daytona Racing in my shed…Raceco stuff.